Finding the right door, originally uploaded by still awake. My favourite photo of a beautiful summer. 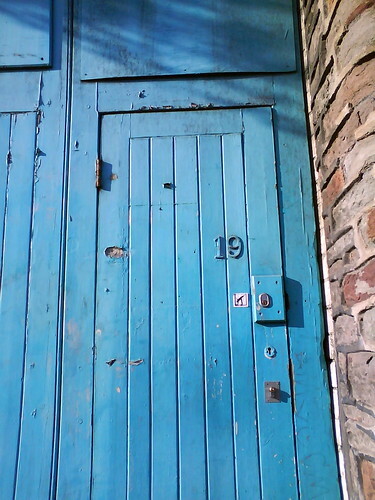 This entry was posted in Bristol and tagged 19, blue, Bristol, door, Photography. Bookmark the permalink. As a habitual and obsessive photographer of doors, windows and gates I must admit to liking this a lot. Great colour and texture. thank you James 🙂 I kept seeing the number 19 everywhere, just for one day.